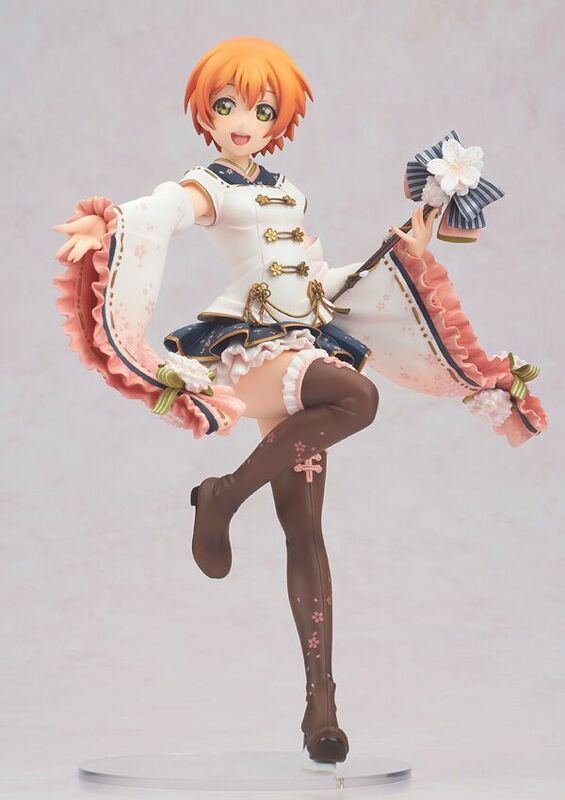 From Love Live! 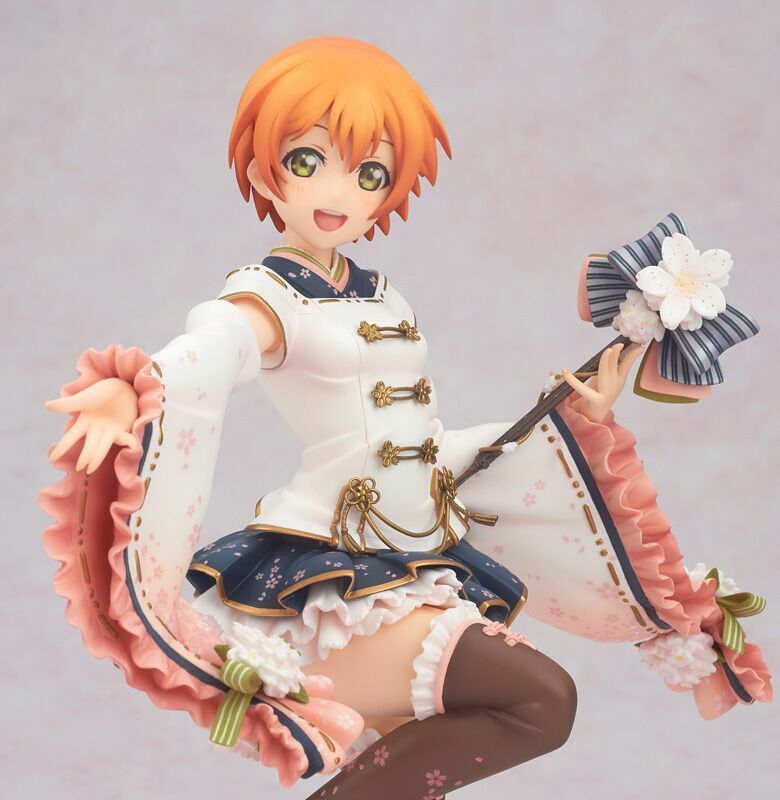 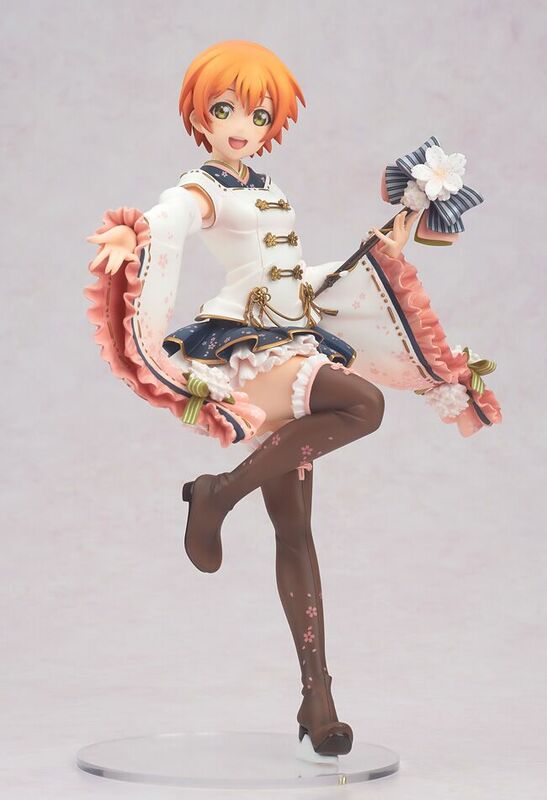 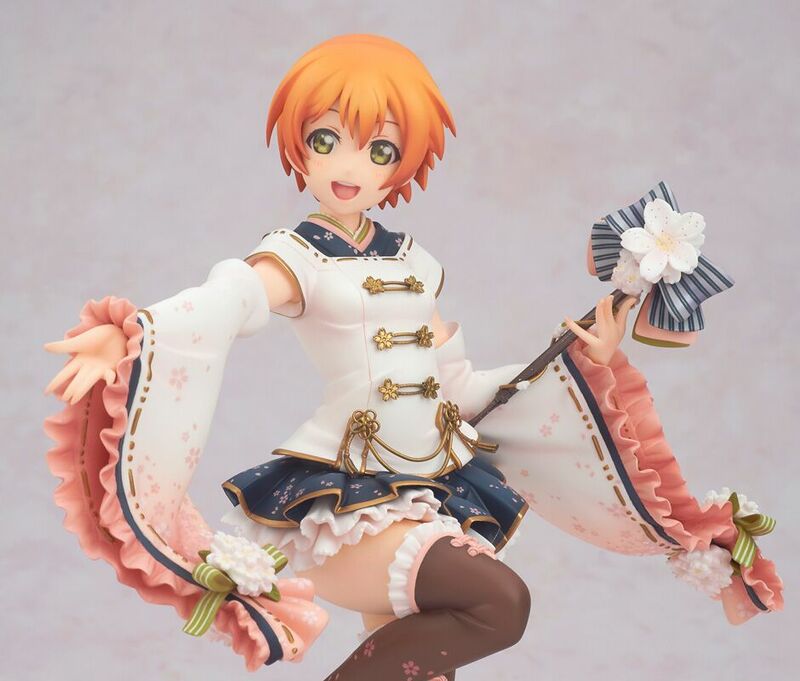 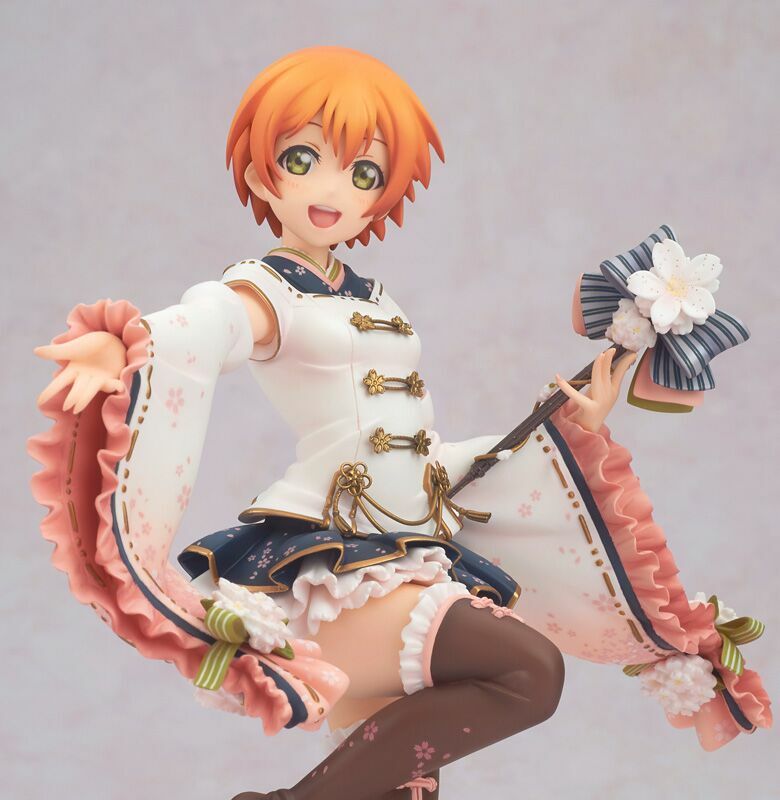 School Idol Festival comes a figure of Rin Hoshizora wearing her March-themed outfit from the game! 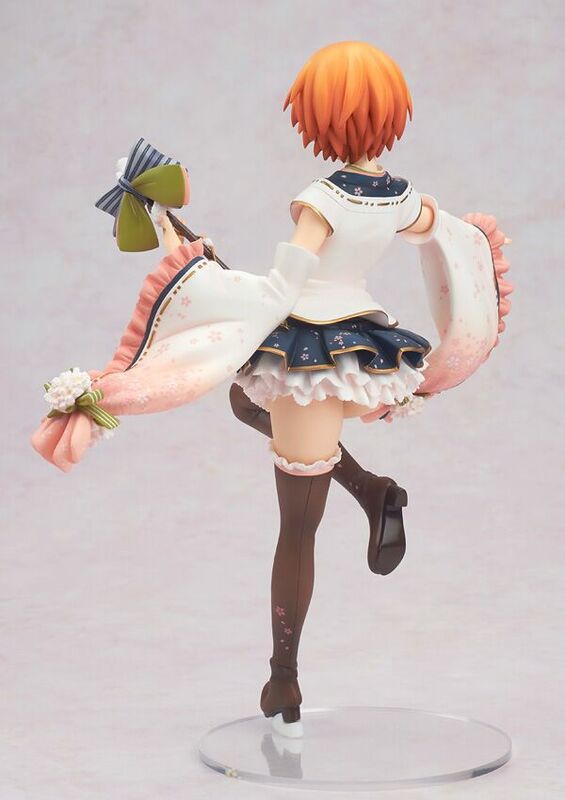 The sculpting takes full advantage of her energetic pose, with her sleeves moving with the motion of her arms, and the wrinkles in her clothing all carefully created to give her the maximum amount of detail. 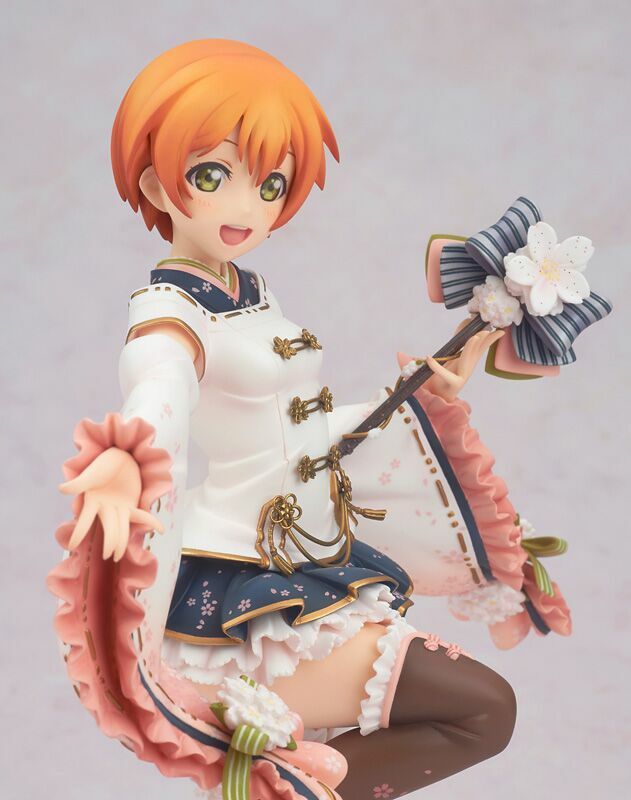 Her subdued colors fit perfectly with the cherry-blossom setting of her card, and translate beautifully to figure form. 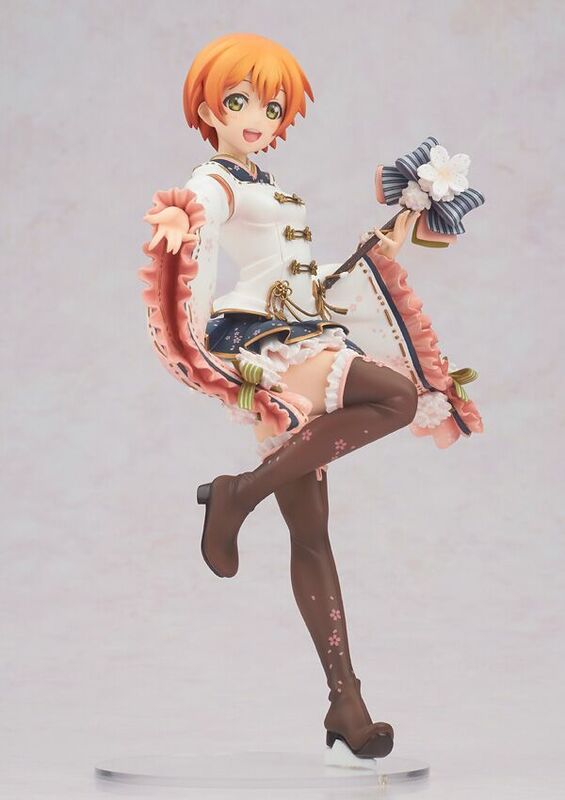 She measures about 22cm tall. 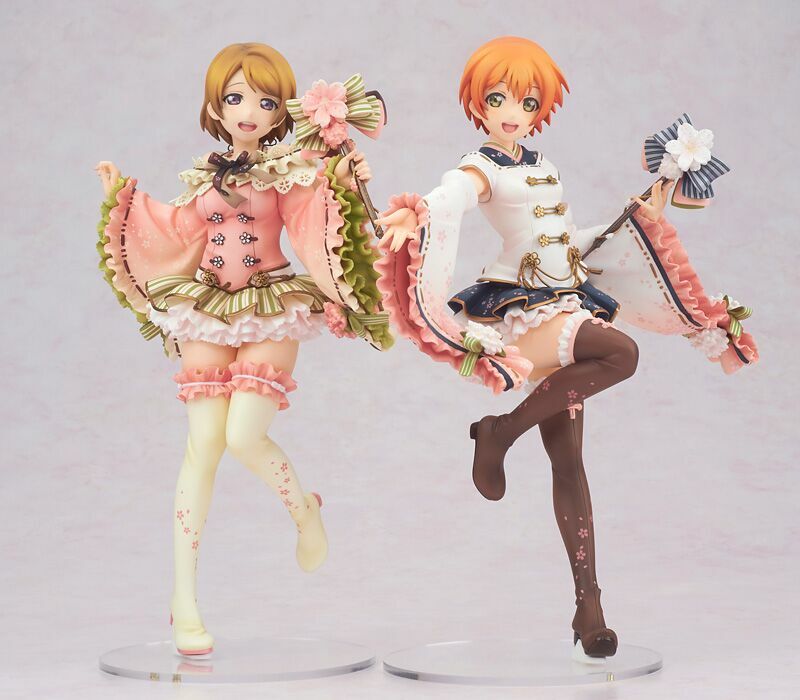 Be sure to add her to your collection along with Hanayo Koizumi March Ver!